Looking for a reliable and experienced Auto Servicing Mechanic? Call us today to book an appointment or hit one of the links above to go to our REPCO website. 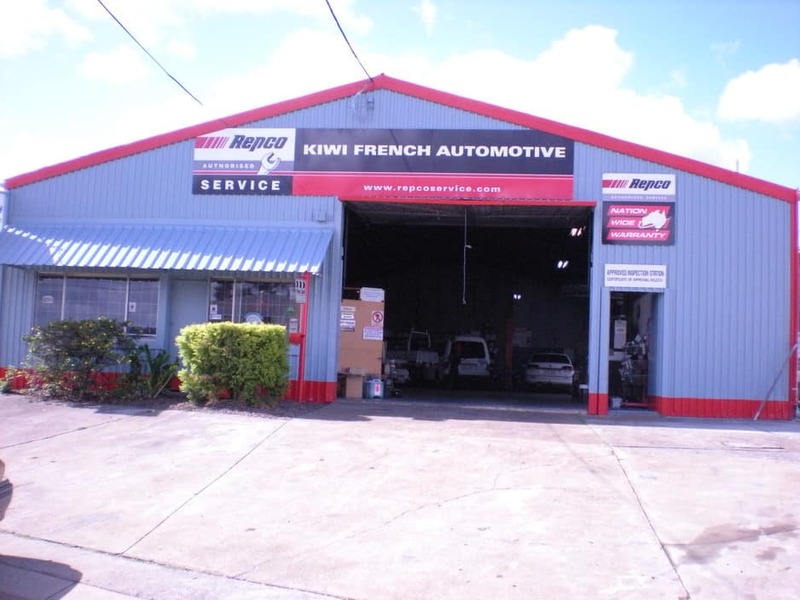 Kiwi French Automotive is a family business, operating in the Slacks Creek area for over 30 years. We pride ourselves in old fashion service. We understand that in our busy lives we don't always have time to do the things we need to do. Where possible we will go out of our way to assist you. We offer a one stop shop, which means if you need tyres, exhaust repairs / system etc and we can????? ?t do it, we will organise it and have it done for you. This gives you back your valuable time to do what you have to do. Call and lets us carry out your next vehicle service or repairs. We would like you to become part of our family of customers. This is another test.This is another test.This is another test.vThis is another test. Fantastic service and price from KIWI FRENCH AUTOMOTIVE.They always explain exacting what needs to repaired and keep you inform about when the job will be completed.Highly recommend this garage for their professional manner and great customer service. Try DNA Automotive at Rocklea!! Small family owned and they are great guys. They are very prompt in their service and knows cars very well. They are very informative and efficient in their work. Great team of professional people. Michelle and the team are some of the most professional and hard working mechanics I have ever met. She gave me an accurate time frame and quote which was incredibly good value for money. I know a number of friends who go to Kiwi French and I could honestly not recommend them any higher. If I could give 6 stars I would.